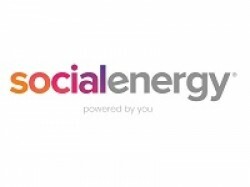 Social Energy puts customers in control by connecting their solar to approved energy storage products in the home. Data intuitive AI software connects customers to their own virtual powerplant, giving them the power to store and trade energy earning up to 70% savings, delivered through their energy bill. Customers benefit from 100% renewable electricity, smart technology and the ability to tap into future product developments such as optimised electric vehicle charging.